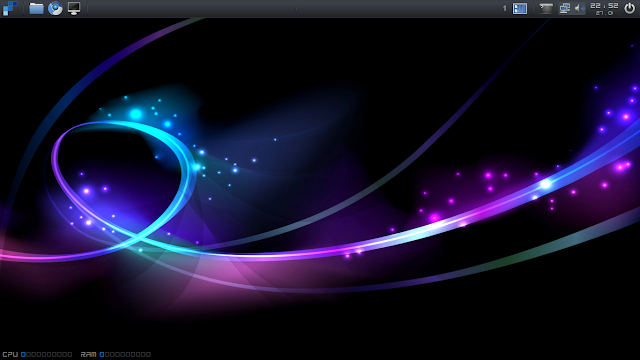 MadBox is a relatively new Ubuntu-based Openbox distribution. It tries to cater to CrunchBang (“#!”) Linux users who want an Ubuntu-based Openbox distribution (as #! switched to a Debian base almost a year ago), as well as to users who want a fast and lightweight OS or one that will work on a slower computer without sacrificing polish. I've used #! a few times before, and (aside from version 10 “Statler” Alpha 2 as that was a very early pre-release build) it never fails to give me a warm and fuzzy feeling and make me seriously consider switching to it from my favorite Linux Mint. Continue reading to see if MadBox can elicit similar fuzzy feelings. I tested this on a live USB made with UnetBootin; I didn't test the installation because, well, it's Ubiquity – how different could it be from one Ubuntu-based distribution to another? When I first booted the live USB, I was able to get through the boot menu (which, interestingly enough, contained separate menu items for different keyboard layouts) and the boot splash, but as I had also made a Bodhi Linux live USB on a previous partition, those somehow got mixed up, and I was sent to Bodhi Linux's SLiM login screen, from which I could proceed no further. After restarting, formatting the Bodhi Linux partition, and restarting again, I could proceed smoothly. The boot process itself was quick, though the boot splash didn't have any cool progress indicator. From that I proceeded to the desktop. The desktop itself looks quite elegant, with a very modern-looking wallpaper and a panel on top. Also present is a Conky system monitor on bottom that monitors CPU and RAM usage; I was confused by this as both things showed a highlighted '0', but it turns out that as the CPU and RAM are used more, more of the '0's are highlighted, in the style of a music intensity monitor bar. That's pretty cool, but it's less informative than actual numbers. The window switcher combines the ability to show window icons from multiple desktops like tint2 does along with fancy-looking icons without text as in Microsoft Windows 7's taskbar. With these things together, the window switcher looks far more sophisticated than the one in tint2 or, for that matter, in any other panel. The drop-down terminal is a nice touch, and it hides away nicely when clicked (if already opened). ADeskBar has a very useful and user-friendly GUI customization tool, and it works a lot better than the GUI tint2 wizard tool. Overall, ADeskBar is probably one of the best lightweight panels I've used and extraordinarily impressive for a relatively new application. Other than that, there's also a traditional Openbox right-click menu available, though it's much more limited, as most of the important stuff is present in the main menu. The Openbox menu has stuff like manual Openbox configuration, changing the wallpaper, taking a screenshot, or enabling compositing. Speaking of the last thing, ADeskBar also allows for transparency if compositing is enabled. Finally, in terms of how the desktop looks, the default icon theme is the blue GNOME-Colors-Brave theme (the blue analogy to the green GNOME-Colors-Wise theme used in Linux Mint 7-9). The default GTK+ theme is MadBox-Ambiance, though it looks a lot more like the Shiki-Statler GTK+ theme used in #! 10 “Statler” Openbox. Overall, the desktop looks quite modern and elegant, and not at all ugly or primitive as might be the case for a base Openbox installation. The terminal is LXTerminal, and it pulls the same trick as in #! where it will display the part of the wallpaper it is covering even if other windows are also present around that area. This only works if compositing is off; if compositing is on, the terminal will become somewhat transparent. The default file manager is PCManFM, which is nice because it has tabbed browsing yet it is still lightweight. I did encounter an issue with a root instance of PCManFM, though, for the superuser warning with a gray background overlapped with the navigation bar with gray text, meaning I couldn't tell (other than from context, at least initially) where I was because I couldn't see the navigation bar properly. Chromium is the default web browser, which ties in nicely with MadBox being a nice yet fully-featured distribution. Furthermore, Chromium does come with most relevant codecs installed out-of-the-box, which was evidenced by YouTube as well as sites heavy on Adobe Flash running fine. RAM usage at idle, determined through Htop, was 170 MB, which isn't as low as I've seen from #! and ArchBang (among others) but still quite low for an Ubuntu-based distribution. The only available GUI package manager is Synaptic Package Manager, and that worked well. I installed Cheese Webcam Booth to test my webcam and mic, and this being derived from Ubuntu, needless to say, both were recognized fine. In terms of other installed applications, the default text editor is Geany, which seems more oriented towards programmers; also present is the more minimalistic Leafpad. The default image viewer is Mirage, which is quite lightweight and reminds me (in terms of the interface) of Eye Of GNOME and Viewnior. DeaDBeeF and GNOME MPlayer are included for multimedia purposes. 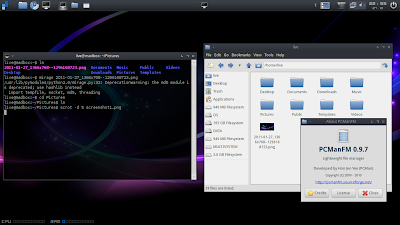 Also, the usual selection of GNOME and Openbox configuration tools are included as well. As I didn't install MadBox, my time with it essentially ended here. I am extraordinarily pleased with it, and I think it's #! 's equal and the perfect distribution for former #! users turned off by its switch to a Debian base. I personally tried making a respin of Ubuntu with Openbox (to serve this very purpose) called UberBang but had issues with the installer as it was made with Remastersys, a tool allowing users to make live and installable ISOs from their installed Debian and Ubuntu systems. At this point I see no reason to continue developing that, as MadBox fills the niche far better than I ever could do. I strongly recommend all users who may be even slightly interested in Linux to check out MadBox. Try it; if you're disappointed, you'll probably be disappointed with Ubuntu or Linux Mint anyway. Download Madbox. This article was contributed by Prashanth Venkataram, who writes at Das U-Blog by Prashanth discussing topics related to open-source software and people's freedoms relating to technology. You can read his previous articles here.